Chris Cilfone is a marine biologist/award winning filmmaker/National Geographic Explorer based on Maui, HI. Chris's passion for educating the public about marine conservation has taken him all over the world. He has had the opportunity to collect algae samples deep within the Inside Passage of Southeast Alaska, to teach kids about the ocean in the Florida Keys, and to present his film One Voice at Le Musée Océanographique De Monaco. His short films promote ocean stewardship and have been featured at film festivals throughout the world. He has won numerous awards for his work including: Ocean Geographic’s 2014 Picture of the Year: Master of Competition, Best Short Film at the Blue Ocean Film Festival in Monaco, and the Hero Award at the My Hero Film Festival. Michael Donohoe is the Co-Investigator, DOP and Editor for Koholā. From the time Mike left Columbus, OH in 2009, his goal was to be a wildlife conservation filmmaker. 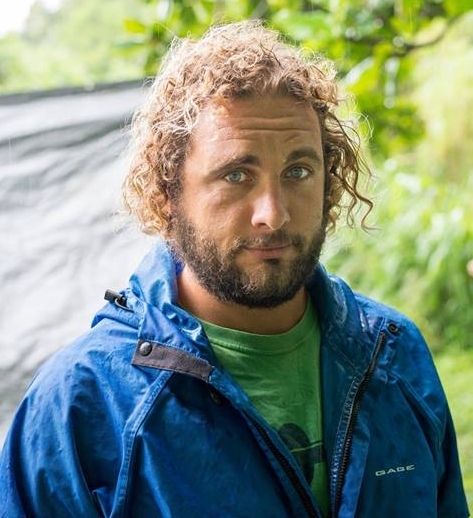 Mike has incorporated video into his work every stop along the way from his time as the Sea Turtle Intern with Conservation International, to his time as an Americorps Member at the Georgia Sea Turtle Center and finally as a Naturalist in Maui. Mike stepped away from the boats to focus on growing his knowledge and experience with filmmaking, from filming the world's largest waves, to weddings, to documentary films. You will usually find Mike bodysurfing, freediving, or on the dance floor. He has brought the world some of the first footage of Pe’ahi from below the wave. This is Annie Goodenough and believe me… she is more than just good enough. Annie is a self-proclaimed whale nerd. She is currently on her 8th season working with Humpback Whales. She has witnessed their behavior off the Stellwagen Bank in New England, the Inside Passage of Southeast Alaska, and the Humpback Whale National Marine Sanctuary in Maui County. She migrates with the whales and is going to be one of our scientific liaisons and advisors. With her experience as a Naturalist and her ability to engage an audience, Annie will also act as our public liaison and manage our outreach. While our filmmakers are in the water focused on composing shots, Annie will be on the lookout for sharks or any other potential dangers. Annie brings her upbeat and infectious attitude as well as her extensive and vast knowledge of the behavior of these whales and we are thrilled to have her on the team. Anna Garner is an overall great human being. 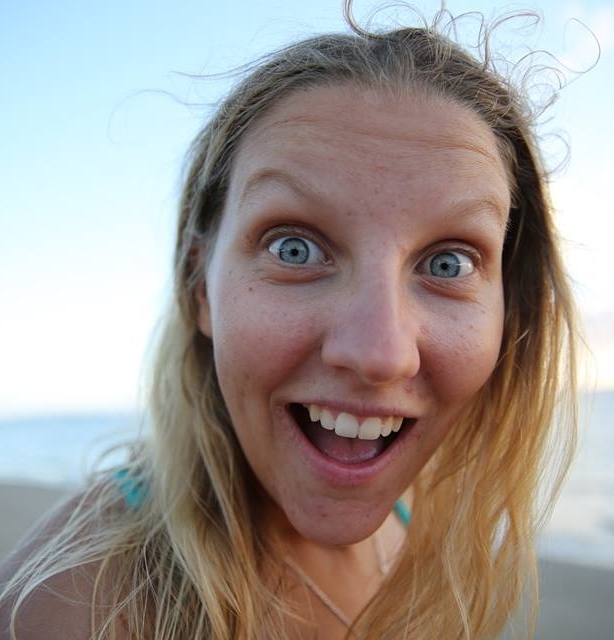 She has lived on Maui for 7 years, taking breaks here and there to sail around the world. She holds a 100-ton Master Captain's License and has years of experience working with institutes conducting research on humpback whales. Anna will serve as our lead scientific advisor; combining her extensive knowledge of the humpback whales with her experience and connections to top researchers around the world. She is our go to person for information, fact checking, and scientific support. We are thrilled to have Anna join our team in the pursuit to film one of the most coveted births in the entire animal kingdom. Her knowledge will give us great insight into the mind of these whales. Drew Sulock is an award-winning photographer, Licensed Coast Guard Captain, SCUBA Instructor, and expedition leader for the National Geographic Student Expedition Program. His work has been featured in Rock & Ice Magazine, and on NationalGeographic.com. He holds a masters in Marine Affairs and his extensive knowledge of field research and underwater photography will give us the edge we need to capture an event that has evaded researchers, filmmakers, and conservationists for the last half century. Since moving home to Lahaina, Mariah has worked hard to better her community and continues to seek the answer to that question. She works as an environmental consultant, teaches yoga, and volunteers as a Yale Alumni Ambassador providing students on Maui the opportunity to have face-to-face interviews to support their college applications to Yale University. She also stays busy by organizing community service events and free public yoga classes to clean up and bring peace and positivity back to our public spaces. In her free time, she enjoys being outdoors hiking, swimming, surfing and diving. Mariah will serve as our Community Outreach Liaison and will work to connect our team with local, cultural, and historical mana`o and stories about koholā. She is very excited about using the power of photography and film to inspire respect for the ocean and its inhabitants. She believes that conservation efforts are not successful without grassroots support, respect and innovation. Her skills as a water sportswoman will also be a welcomed addition to the team.